Persil ProClean 2in1 Review and Giveaway! 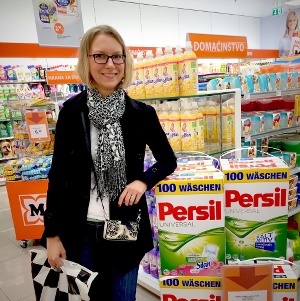 Back in March when Persil ProClean and Persil ProClean 2in1 first launched in the US I was lucky enough to be among the first to try it out and review on my old blog (you can still find the entry here). I can’t believe it has been almost a year since I wrote that! That review was for the Original liquid and Pearls, but this time I was given a chance to try out the extra powerful Persil ProClean 2in1 liquid to see how I would like it. I obviously jumped at the opportunity, since the ProClean 2in1 liquid recently beat Tide in Consumer Reports testing. *GIVEAWAY ALERT* Enter to win one of three coupons for a free bottle of Persil ProClean! Scroll to the end of this post to enter the giveaway. Last day to enter is February 19, 2016!